Bye Summer! – Cin Cin, Let's Eat! Last night was cold! What a change to the recent heatwave. Is fall really here? It’s been real, Summer! It’s been so fun, wonderful, and productive! 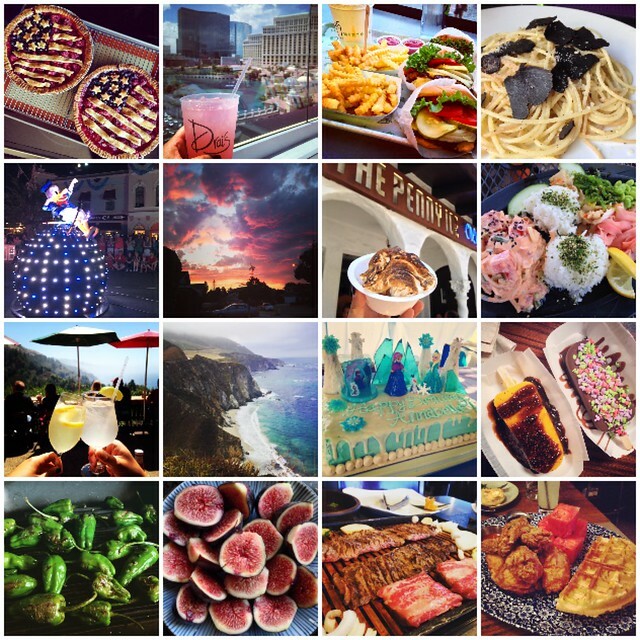 Memorable trips, late night dance parties, awesome concerts, and lots and lots of delicious eats. 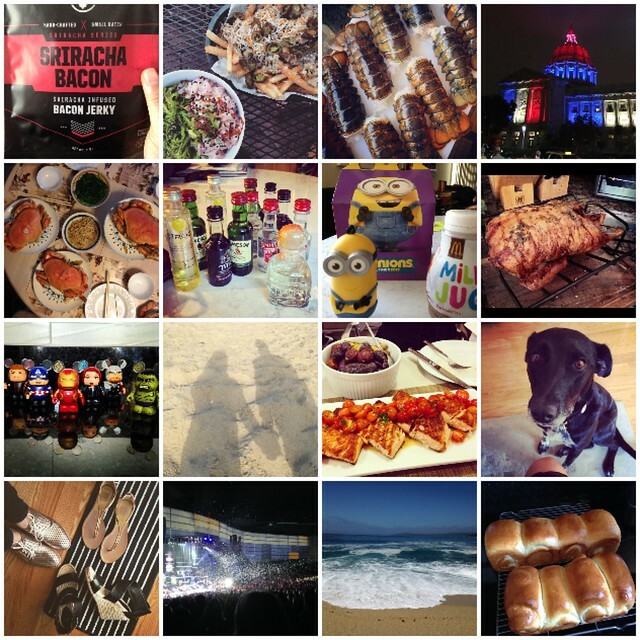 Here are some of my favorite moments (haha yes most of them are food-related!) Follow me on Instagram to see lots more updates. Feeling patriotic. Red white and blue berry pies for Fourth of July. We had the whole pool to ourselves at Drais. Closest place for us to get Shake Shack burgers is in Vegas. My friends bring me delicious goodies from their travels, like these French black truffle which I shaved generously over some pasta. Disneyland’s 60th “Paint The Night” parade was probably the best parade I’ve ever seen! Just another gorgeous sunset, shot right outside of our house. The Penny Creamery is my favorite ice cream spot in Santa Cruz. Small batch ice cream with big flavors. Get the toasted marshmallow fluff topping for sure! Obsessed with poke bowls and rice plates. Road trip to Big Sur. Lunch at the famed Nepenth restaurant. What a view! The gorgeous coast line, just next to the Bixby Bridge in Big Sur. The “Frozen” themed birthday cake I made for my niece’s 5th birthday party. The amazing mango bar with chamoy and tajin. Off menu item at Clarabelle’s Ice Cream at Disney’s California Adventure. Consumed as much shishito as I possibly could. Also consumed as much figs as I possibly could. Delicious Korean BBQ. Lots of it! Top five fried chicken I’ve ever had, at Yardbird in Vegas. We can’t get enough of these Sriracha bacon. More poke bowls, and kalua pork fries! First time dealing with lobsters at home, made lobster rolls! San Francisco City Hall glowing red white and blue. Dungeness crab feast with my in-laws. Packing for Vegas. Mini alcohol bottles are so fun! McDonald had the Minion toys in happy meal. I shamelessly bought two. Our awesome friend made this roasted duck for dinner. Along with a jar of duck fat to bring home. Weekend getaway at Monterey. Fun beach front resort. My brother’s dog, Dani. I love her so much! Girls’ weekend in Vegas = Britney’s fantastic show.